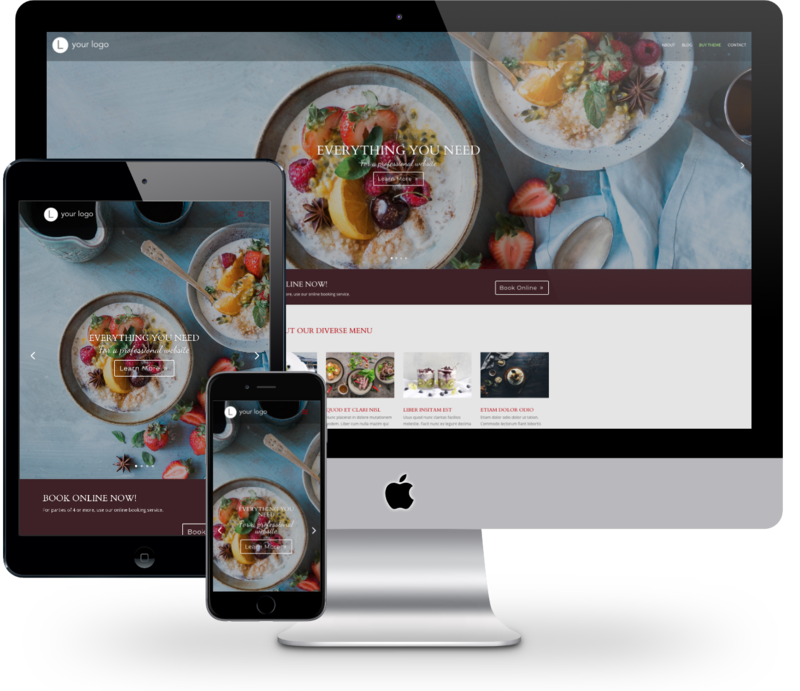 Deluxe Web was created by Sam Baly, a web designer and developer who has been providing websites to local and national businesses for over fifteen years. Sam is also the head designer at UKC and responsible for hundreds of websites produced for churches and charities in the UK. Based in Thornbury near Bristol, our aim is to help small businesses grow by utilising high standards of presentation and useful functionality that integrates with a variety of other services to automate processes and free up your precious time. Principally, small business websites need to get found, and we’ll do our best to make sure your site is integrated with your social media profiles, and SEO optimised to rank well on search engines. We believe that despite the web’s global reach, people still like dealing with local businesses. That’s why Deluxe Web prioritises a friendly, available approach that dispenses with technical jargon, and communicates effectively in plain English. Customised websites with a low monthly payment. Choose an exclusive template design and we’ll customise it to fit your business. Built-in hosting and technical support. Easy updates with our visual editor. Handpicked plugins included, plus access to thousands of other free plugins – we only charge for installation. Design refresh every 3 years. Dedicated support who are reliable, knowledgeable and quick to respond. Professional and unique bespoke website design. Who is Deluxe Web Pay Monthly for? When you’re creating a web presence for your new business, you need to keep costs low and be able to change tack quickly if things go in a particular direction. You don’t want to be tied in to long contracts or pay exorbitant up-front fees when you have no idea how well your business will do or how long it will take to flourish. Sure, you could design a cheap website yourself, and many do, but it takes a long time and can bring less than satisfactory results, as well as offering limited flexibility and functionality. Deluxe Web’s packages are perfect for startups because they remove the risk of large up-front costs, plus a professional custom designed site will look great from the word go and take a fraction of the time of a DIY website to complete as it’s all done by experts for you. Perhaps you’ve been in business for a few years and things are going well. You might be thinking about how to grow your business, and now you have the funds to make sure that everything is upgraded to a more professional level that reflects where your business is now and where it’s going. Deluxe Web packages are perfect for small to medium sized businesses who want to take their website to the next level. A custom designed site can match your branding and create a more professional image. We can add functionality that streamlines your customer experience and saves you time and money. Advanced SEO tools allow you to optimise every page of your website, and everything technical is taken care of for you so you can concentrate on what’s important. Plus, you can edit your site’s content and layout yourself using a highly intuitive drag and drop visual editor. Why create your website with us? Running your own website can be complex. You need to find a reliable hosting provider that has the right level of service for a fair price and decent technical support. You need to get your website uploaded, configured and developed. You need to find a suitable design and then customise it for your business. You need to create and enter content, source images, set up email, SEO, maps, social media, a blog, banner images, have a logo designed… the list goes on. There are other services which allow you to get a website set up quickly and easily, but they often come with restrictions such as limits on website functionality or plugins, plus you still have to customise the site yourself, which is a hugely time consuming process you may not ever be satisfied with. That’s what web designers are for! Deluxe Web aims to bridge the gap between large Internet companies with restrictive low-cost website provision, and bespoke high-cost tailored web design services. We want you to be in control of your site, but without the hassles of the technical side of things; be backed up by excellent support; have access to great expertise, and enjoy the freedom to ensure your website does what you need it to. You need a bespoke website when the cost of missed opportunity is greater than the cost of a website! The increased sales that a professionally designed website brings in should ultimately pay for your new website. So this is a time when it would cost you more to get a cheap website than it would to get the job done right. How can a professionally designed website help your business? Nothing hurts sales more than a lack of trust from your prospective customers and clients. Professional design is crucial to building trust, because no-one trusts a company with shoddy presentation. Good design is more than looking nice, though – it’s getting the presentation of your website in harmony with your branding; appealing to your target audience; and giving them a user experience that works for them and compels them to act. We can work with you to update your branding as part of your website development, which will create consistency across your all your marketing materials. Custom web design is about deliberate and considered decisions that work together to purposefully bring customers along with you and channel them through your funnel or process until they’re ready to buy. By identifying the areas of your business that could be automated and streamlined, you can create time for your most important work. A professionally created bespoke website can feature functionality that allows you to concentrate on the crucial parts of your business, for example by automating bookings and online payments, integrating invoicing or accounting, or by social media automation and scheduling. Database connectivity and API integration can allow your site to interact with a range of third party software services. A beautiful website is fairly useless if it can’t be found. On page SEO is part of our process from the start of your project, so that your content and its structure are optimised for search. We’re not a digital marketing company, but we can advise you on your digital marketing strategy especially if this hasn’t been part of your operation until now. We don’t create awesome websites only to leave you to it. We’re interested in the long haul, and that means being reliable and responsive to our clients. You can rely on us to maintain your website’s technical aspects such as hosting, security, keeping software current, backups and optimisation. We also have content plans which allow you to outsource the updating and addition of content to us if you don’t have these roles in-house. If you already have a WordPress website that you’re happy with, you might find that you could sometimes do with some assistance to keep it functioning at its best. Deluxe Web offers one-time or subscription-based services for WordPress websites that optimise for security, speed, backup, malware cleaning, design alterations, plugin configuration, on-page SEO and maintenance plans to keep everything ticking along so you can leave that burden behind.